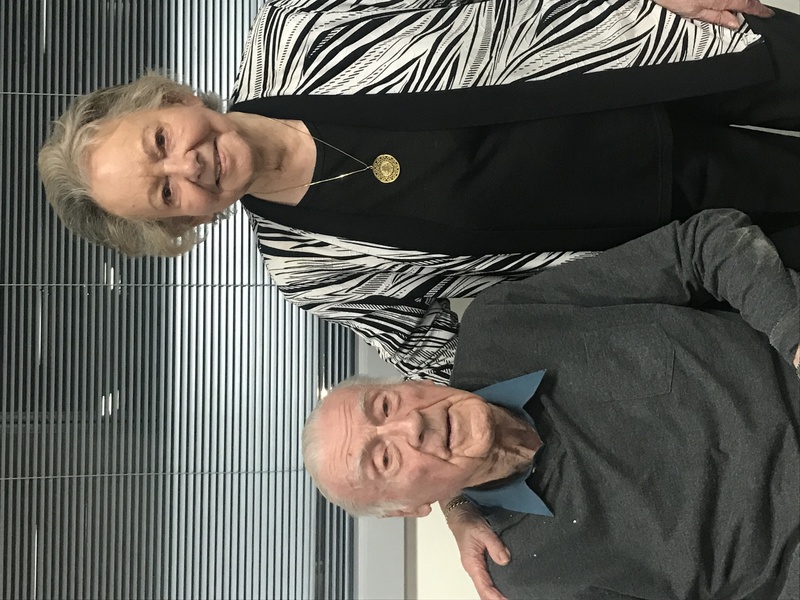 Regular VBA Player Bill Bennett recently turned 100. 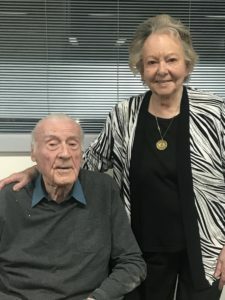 Being a bridge player of course he chose to spend his 100th birthday out playing bridge! Bill says he started playing bridge before the war (WW2 of course) so he’s been playing for over 80 years. He played a lot of bridge during the war; he was in the (British) military for the duration, in the medical corps. He served in a lot of different places. Algeria “improved my French a lot there”, Italy “learnt Italian” and later on Burma & India “picked up Urdu”. Before the war he went on an extended youth camp program in then-Nazi Germany and stayed at some massive youth hostel near Cologne (over 1,200 beds). He became fluent in German, made a lot of friends, and quite liked it except for the Hitler Youth leader who shouted a lot and woke them up every day at 530am. Bill had become a Warrant Officer and head steward at an army hospital when they threatened him with promotion to Regimental Sergeant Major. That’s the most senior NCO rank, and naturally the person who has exactly no friends. He wasn’t very keen on that idea so he applied to go to officer school, and was accepted and sent back to England for training. It was as an officer that he was packed off to Burma and India. His dad was a factory manager and he’s obviously a very intelligent man, but even so he had no real thought of going to university when he was at school. Maybe 1 or 2 students from his school went to Uni each year. But during the war he thought the doctors were really no cleverer than he was, and he discovered he liked the job they did. After the war, he got a grant from the British Government to study medicine. The grant wasn’t much but it was enough to get him through. Still, he found that being a GP in postwar England wasn’t a great deal. The pay wasn’t very good and the specialists really treated the GPs pretty poorly. A friend of his wrote from Australia and told him how good life in Australia was so he and his wife became “10 pound poms” and migrated. 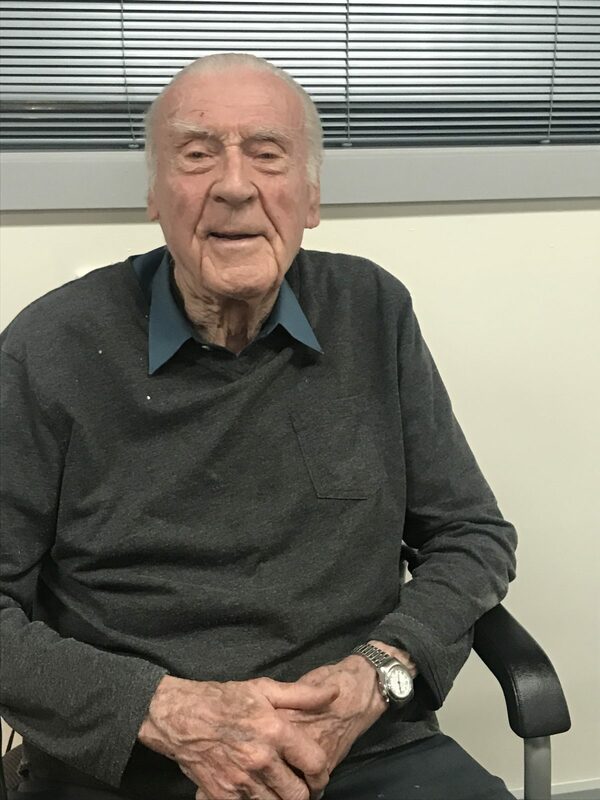 At 100 he has trouble with his eyesight and can’t see the cards very well (everyone calls out their cards for him), but his hearing is good as is his memory, and he still plays a good game of bridge. What a remarkable man, and what a remarkable life he’s led.